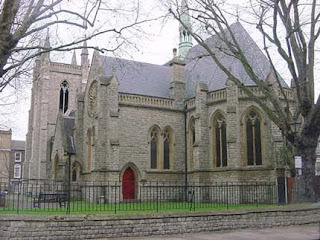 I usually reserve Sundays for going to the church and visiting friends; but there is one place in the United Kingdom that gives peace to my mind; Rese Adbarat London Debre Tsion Ethiopian Orthodox Tewahedo Church in Battersea, which is given the utmost grace by our holy father God the almighty. 11 April 2010 was, however, totally different for the church as devout Christians and forward looking Ethiopians and friends of Ethiopia witnessed the best the church could avail to its congregation. That is the program entitled “Yanten Lante” which means “Yours to you”. I have learnt that it has taken about five months to prepare for the program that took the hearts of all those who chose to be part of the event. The program was widely advertised and all the necessary media outlets including the net were used. The leaflets which are eye and heart catching were placed almost everywhere and there was a lot of mouth advert which showed people’s commitment to the success of the program. Ethiopians had come from different parts of the United Kingdom, some travelling up to 7 hours. Many people had bought tickets in advance and were ready to be at the place well in advance, which is very unusual with the Diaspora community. That was why it was well attended and the hall could not be enough for all those who wanted to be part of the event and consequently history. Though we knew that the program would start at 2pm most of us were already at our seats a few minutes after 1pm. That was amazing. Many of those in the hall men, women and children had worn their traditional Ethiopian clothes. Others were in their suits and formal dressings. One could see the famous tricolour, green, yellow and red , hand badges, sticks and signs almost everywhere. It added to the beauty of the event as anything that has the trio is always beautiful. We could have a million and one reasons to tell why the event was different. To mention a few, the event was organised by people for people. It was one that involved renowned Ethiopian artists who gave their at most talent on their own initiative. It was an event organised in Europe for the first time in history. It was an event that was mainly organised to support the church which at times needs supports from its children. It was an event many people were moved by spiritually and showed the hunger of such an event. It was an event which united artists and ordinary folks for the common good. I could go on putting my reasoning. To put it in simple words, it was an event which was a success by all standards. Of course I understood that there were many people who could not enter the hall as it was at its maximum capacity. That was why the organisers and the artists made it clear that the program would be repeated at the church on Sunday 18th of April for free. The hymn presented by London based legends such as Girma Teferra, Hirut Bekele, Kesintu Dejene, Yezina Negash and many other prominent artists had moved all those in the hall. The short liturgical play which was played by Behailu Nekatibeb and his team was also equally moving. Every artist had accomplished his/her mission and that was why the artists and organisers received standing ovation that lasted for more than 10 minutes from the audience. We owe the artists and organisers of the event a lot for making such a wonderful event happen and for bringing us together. The message from the head of the Church Aba Komos Girma Kebede was as always very clear. He asked all those in the hall and beyond to come together to help the church and those who need our help as that is part of the true Christian value. He is right to say that the church which we all love is there as a place of worship and good doing for the current and many more generations to come. The program which was successful by all standards was over around 8pm. It is my and many other people’s hope that the DVD of the event comes out in the not too distant future so that people all over the world be part of the blessings while supporting people’s church by buying the original copies of the DVD as it comes out. Well done to the organisers once again.